On Janmashtami, people decorate their houses and temples very beautifully. Have a look on the article to know in detail about Janmashtami decorations. 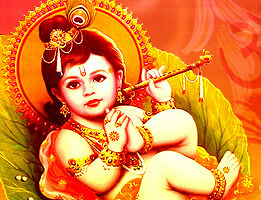 Janmashtami is rejoiced to commemorate the birthday of Lord Krishna. This occasion experiences grand celebrations all over the world which are held by several Hindu communities. This auspicious day is very significant for the Hindus and to get His blessings, people observe fast, perform special puja, offer sweets, fruits, flowers, and panchamrit. After this, aarti is performed and at the end of the celebration conch is blown, which symbolises that Lord Krishna has taken birth. On this day, people clean their houses and temples, decorate them intricately by using various decorative items and give a warm welcome to Lord Krishna. 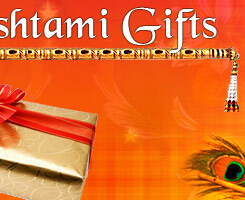 The different types of decorative items symbolises the cultural heritage and traditions of the Hindus as well as India. The houses and temples are decorated in such a manner that they give a glimpse of the paradise where Lord Krishna resides. Read to know about various types of Janmashtami Decorations. Decorating the idol of Lord Krishna and His cradle are one of the important types of decoration. Beautiful and shimmering clothes, ornaments, and garlands are used for the embellishment of the idol. Also, His flute is decorated very nicely along with the crown which is decorated with peacock feather and other decorative items. Many of the followers stitch the attire of God by themselves and adorn them with beads, sequins, mirrors, etc. In addition to this, His cradle is beautified by using fresh and artificial flowers, bells, decorative lights, torans, etc. To beautify the wall of the houses, people use the posters with the images of Lord Krishna, ethnic wall hangings, and decorative items with peacock feathers and flute are put on the wall. Embroidered cloth panels adorned with patch-work, mirrors, sequins, and beads are also made to decorate the walls. All these things look very adorable and reflect the traditions and culture of India. Besides this, to decorate the doors of the temple and house, attractive door hangings are used. These door hangings are decked with golden globules, multicoloured glass beads, mirrors, and fancy motifs. These days, the wall hangings come with flute, peacock feather, pots containing butter, and cows stitched on them. All these things add much festive touch in the celebration. The temples with the idols of Lord Krishna are beautified intricately by using fresh flowers, decorative lights and by making huge rangolis on the entrance of the temple by using colourful gulal and flower petals. The tableaus which describe the major accomplishments and life incidents of Lord Krishna are also used to decorate the temples. Mainly, the temples at Mathura are embellished on grand level as it is the place where Lord Krishna was born.